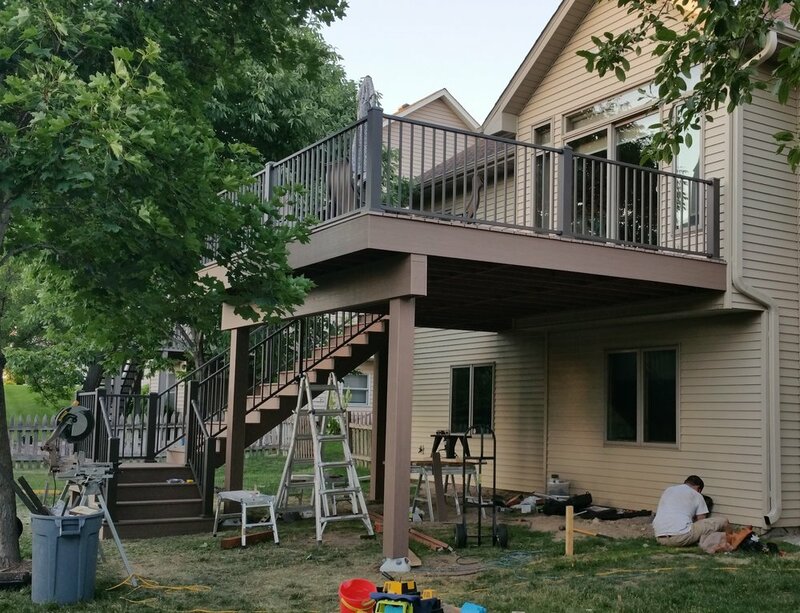 We remodeled a Plymouth, MN home's deck. We built a Harvest Collection Azek Deck in Autumn Chestnut color with bronze C10 Westbury Railing. We removed the new deck and built an entirely new frame and structure. All posts and beams were covered. ready to become a home improvement hero?